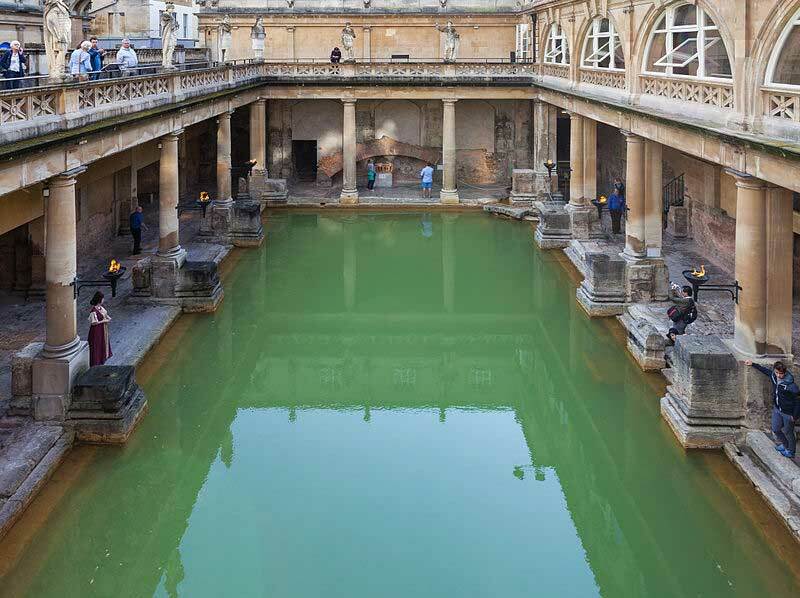 The Roman Baths complex, located in the English city of Bath, is a well-preserved site of tourist interest. It is a historical Roman site for public bathing. These ancient baths, destroyed in the 6th century, were reconstructed over time with the last additions being done in the late 1800s. 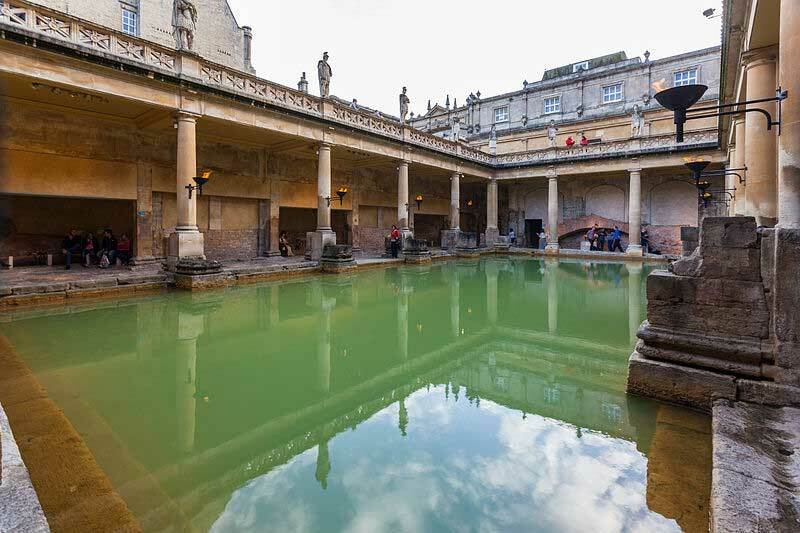 The Romans constructed the said complex of bathhouses above Bath's three natural hot springs. However, it is considered that, the first shrine at the site of the hot springs was built by the ancient Celts, and it was dedicated to the goddess Sulis, whom the Romans identified as Minerva. The temple was constructed in 60-70 AD and the bathing complex built gradually, stage by stage, up over the next 300 years. The Roman Baths complex, situated below the modern street level, consists of four distinct features, namely, the Sacred Spring, the Roman Temple, the Roman Bath House and the Museum. 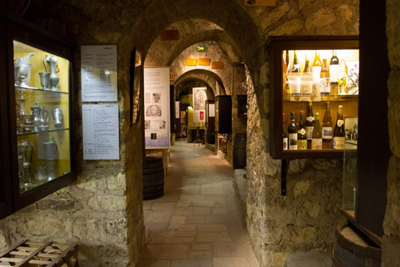 The Museum houses the artifacts found from the Roman baths, which include, among others, more than 12,000 Roman coins thrown into the Sacred Spring, seemingly as offerings to the goddess. The buildings above the street level date from the 19th century. 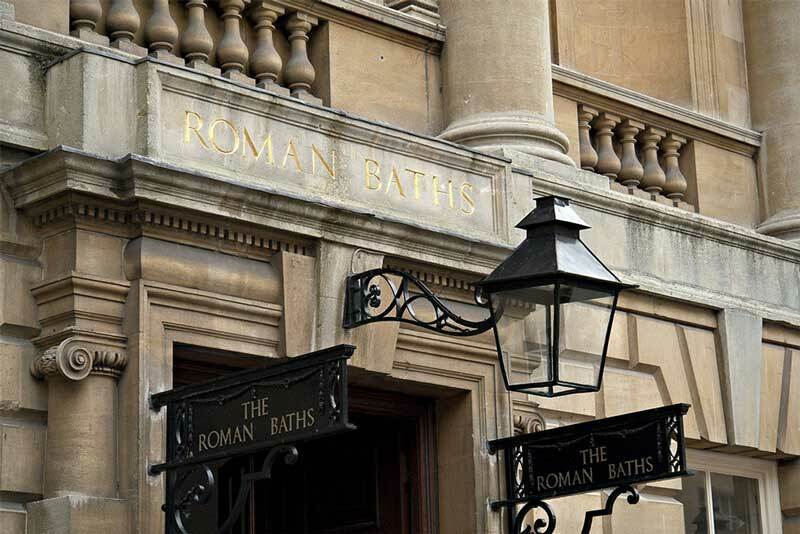 The baths, said to be one of the best-preserved ancient Roman spas in the world, are encircled by 18th and 19th century buildings. The heart of the complex is the Great Bath, a pool filled with geothermal heated water from the so-called Sacred Spring. There are smaller bathing pools and changing rooms too. 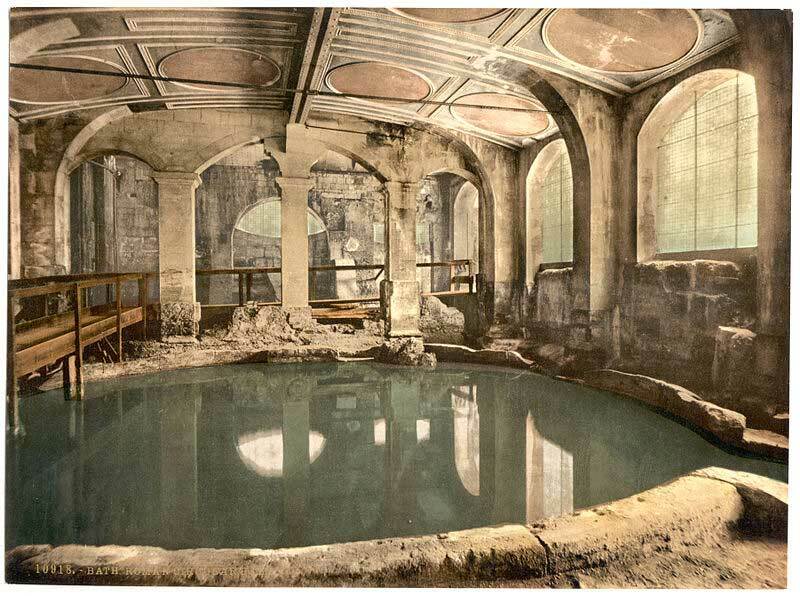 After pampering themselves in hot baths, the Romans used to re-energize themselves with a dip in the circular cold-water pool. 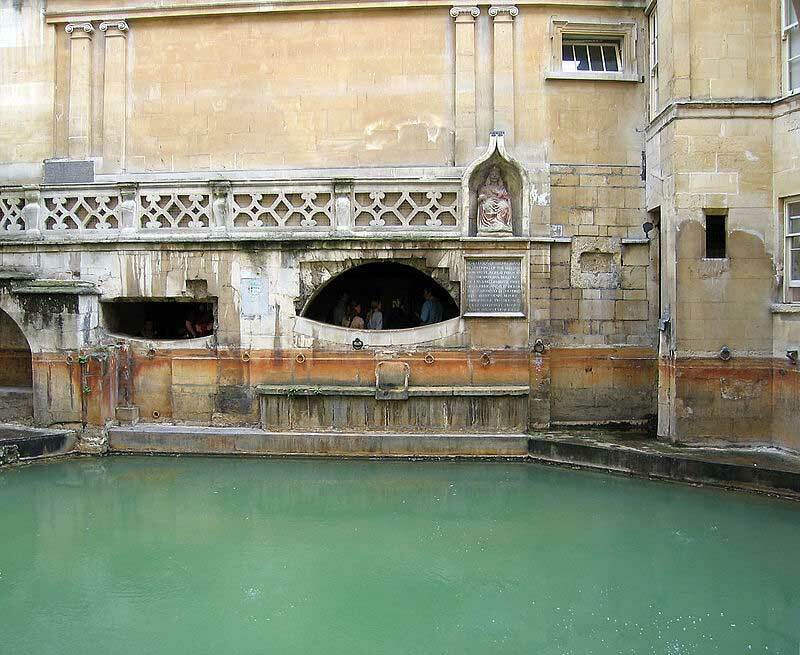 The open air bath was originally covered by a barrel-vaulted roof. 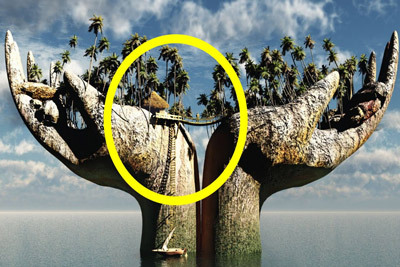 More bathing pools and changing rooms are situated to the east and west side. The King's Bath was added sometime during the 12th century around the site of the original Sacred Spring, which till today supply about 1.5 million litres of hot water (46 C) to the pool. Beneath the Pump Room are the remains of the Temple of Sulis-Minerva. 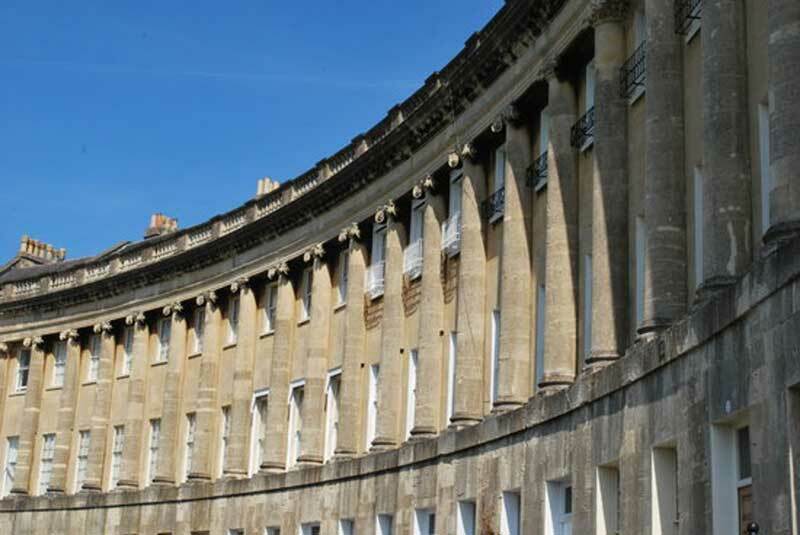 The complex of the buildings around the baths was built in stages during the 18th and 19th centuries. 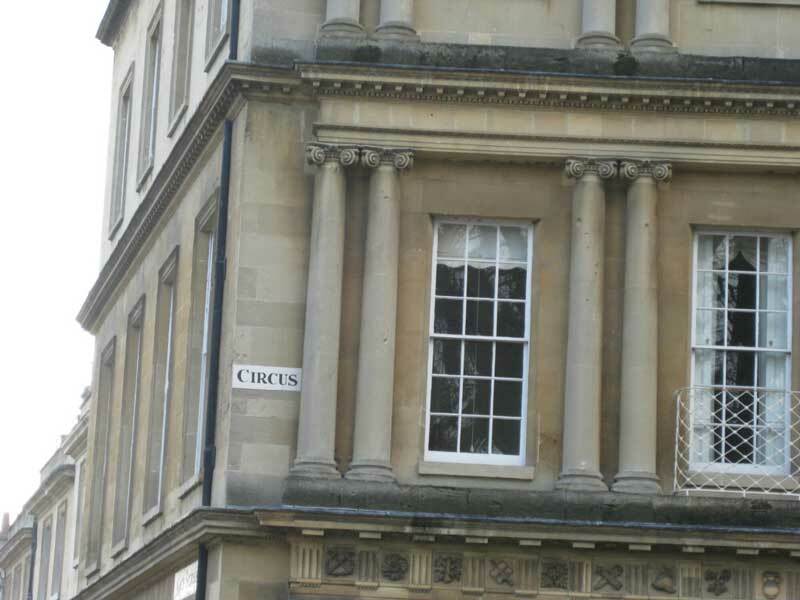 The buildings around the Sacred Spring were designed by the team of illustrious father-and-son architects, John Wood the Elder and Younger, who turned the town into the toast of Georgian society, and constructed fabulous landmarks such as the Circus and Royal Crescent. 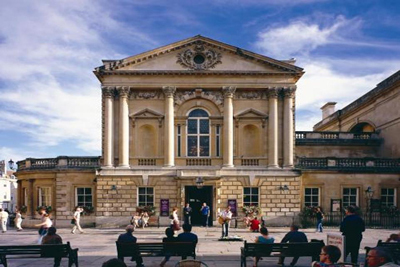 The Grand Pump Room, begun in 1789 by Thomas Baldwin, was completed by John Palmer in 1799. 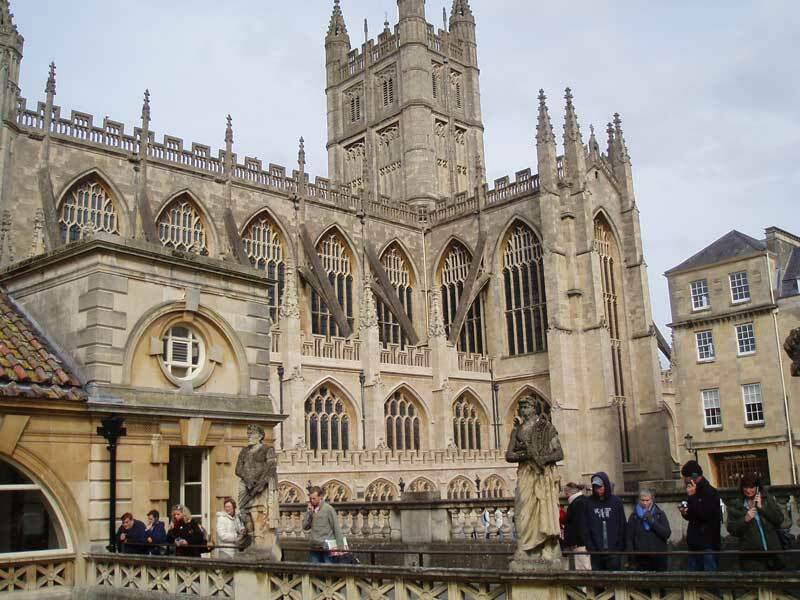 The elevation on to Abbey Church Yard consists of a central piece of four Corinthian columns, complete with Entablatures (moldings and bands which lie horizontally above columns) and the Pediment (the triangular upper part of the front of a classical building). The north colonnade was also designed by Thomas Baldwin. The south colonnade is similar, except the upper floor, which was added in the late 19th century. In 1810 the hot springs became inactive and stopped supplying hot water. However, when William Smith opened up the Hot Bath Spring to the bottom, he found that the spring had started to flow through a new channel. 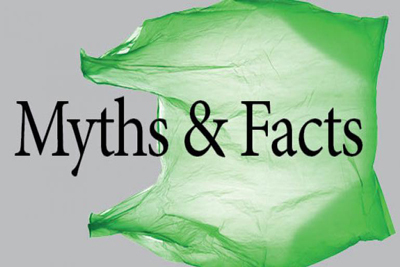 Smith restored the water to its original course and the Baths were saved and became enriched with supply of more water. 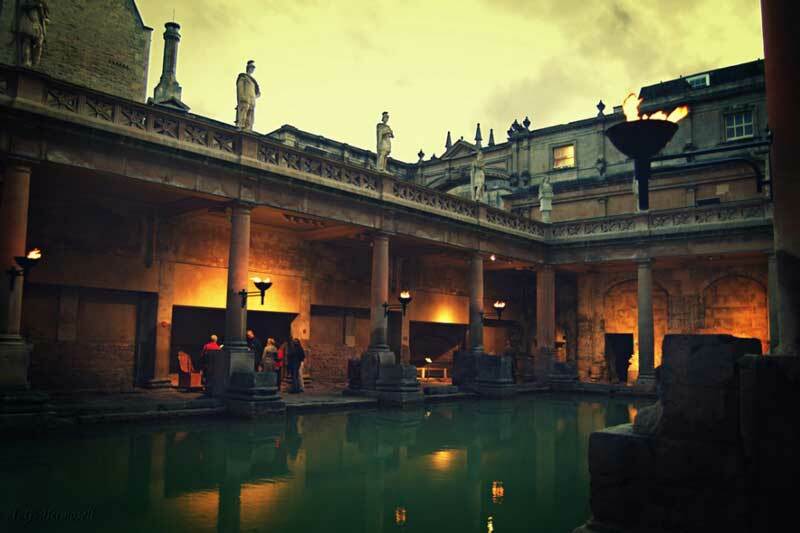 The Roman Baths attract thousands of tourists every year, but today the visitors are not allowed to enter the water. 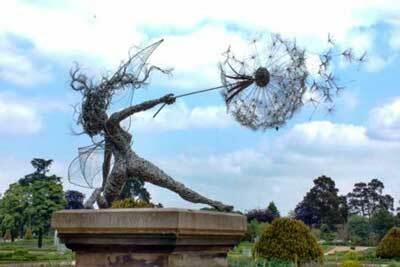 As one of the wonders of the Western Countries, it was featured on the 2005 TV program, Seven Natural Wonders. 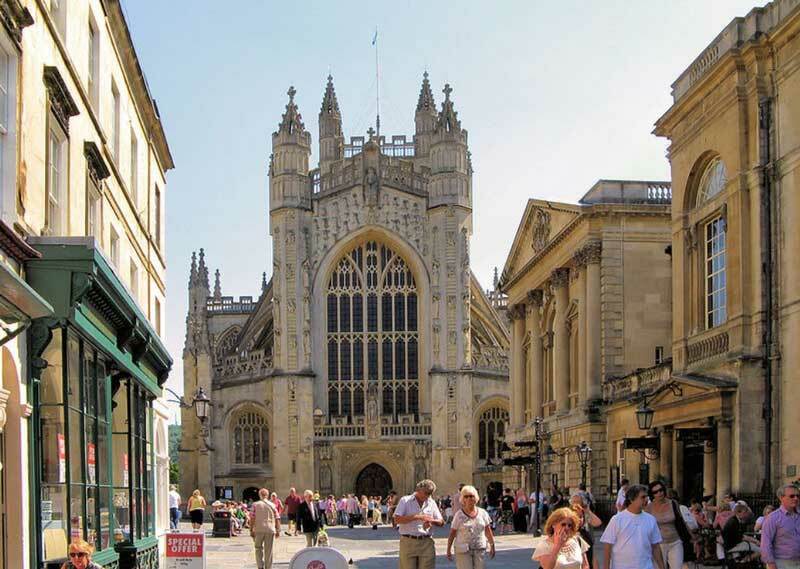 The city of Bath, in the county of Somerset, is the only city in England, selected as a World Heritage Site in 1987.